[Quiz] Which Country Should You Get Married in? Ever thought about getting married in another country, but not sure which is best for you? 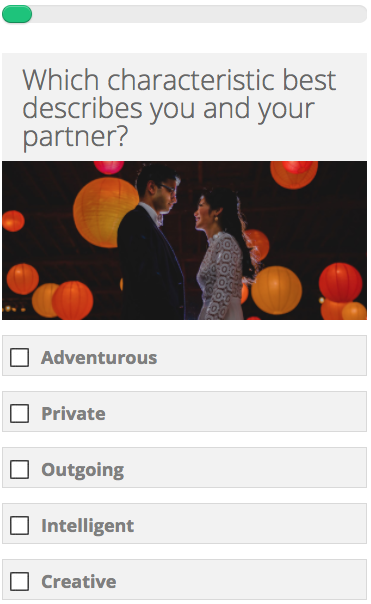 Our unique destination wedding quiz asks some questions about you and your partner to help pinpoint your ideal destination. 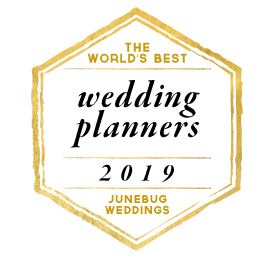 As international wedding planners we have been privileged enough to have been involved in many beautiful and diverse weddings around the world. That’s why we decided to create this infographic highlighting what we believe are some hidden gems for getting married abroad. 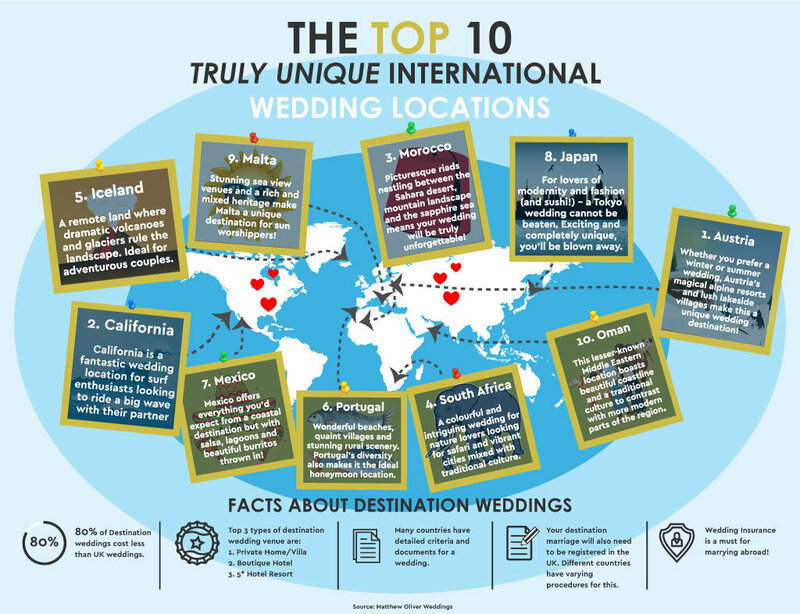 Check out The Top 10 Truly Unique Wedding Locations infographic below and feel free to feature it on your site using the embed code below the image! All you need to do is reference www.matthewoliverweddings.com once you’ve done this!